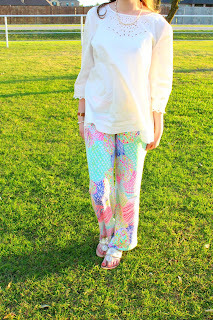 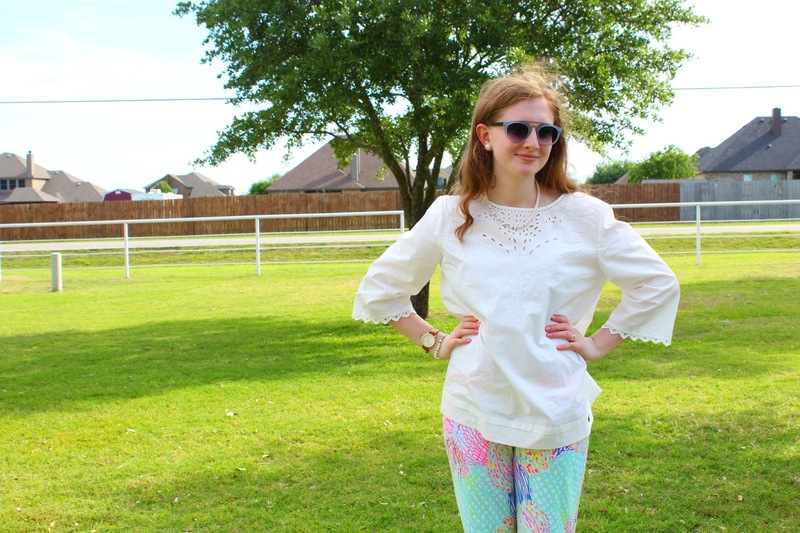 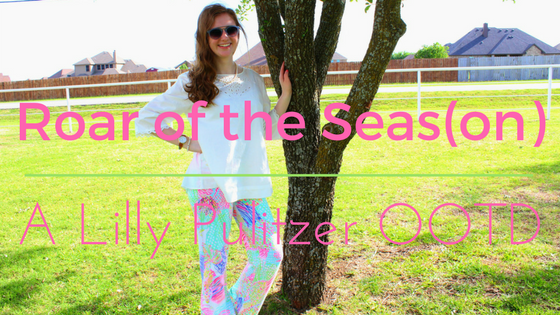 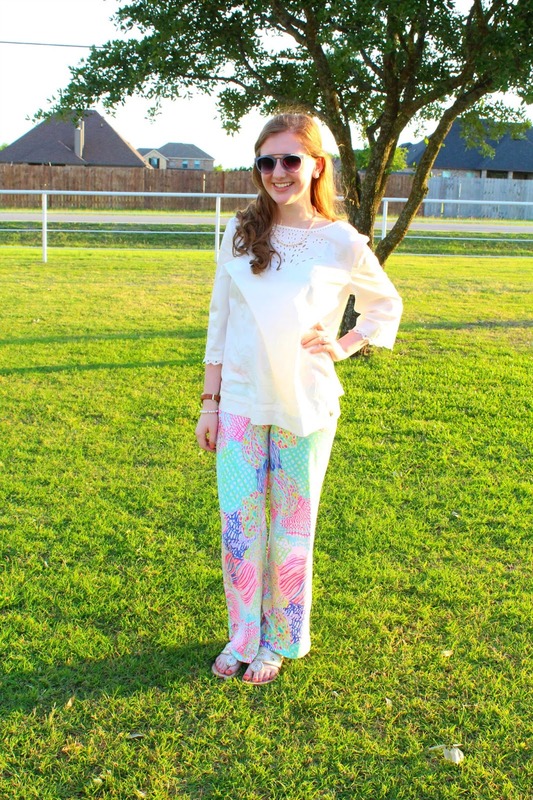 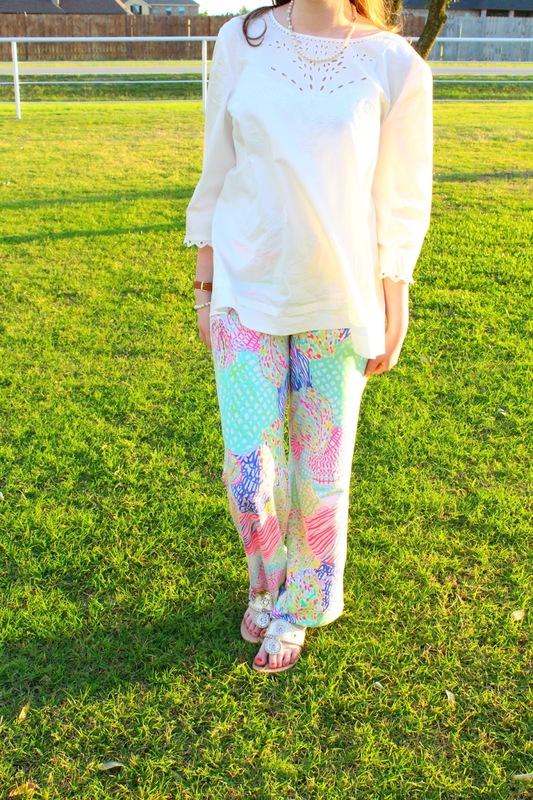 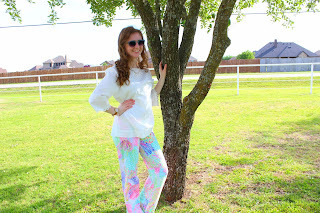 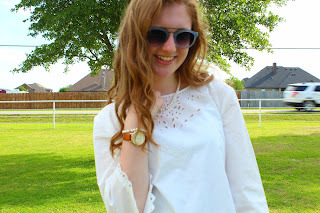 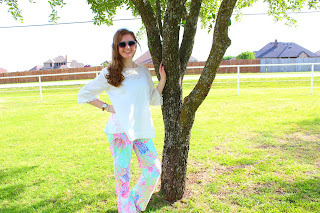 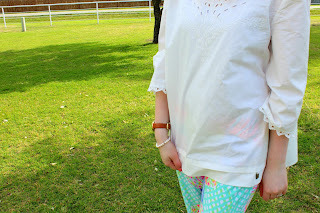 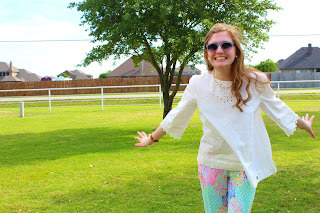 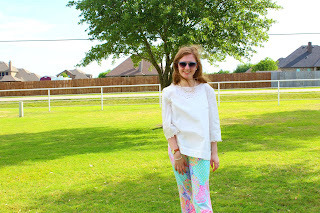 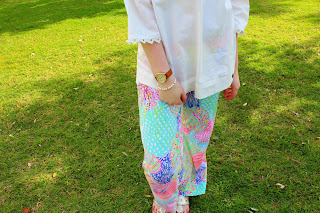 Today I am sharing another outfit but I am so excited because this is my first Lilly Pulitzer post! I shared this outfit in my TJ Maxx Dressing Room Try On and I am excited to share how I styled it. This outfit is so comfortable and perfect for spring! 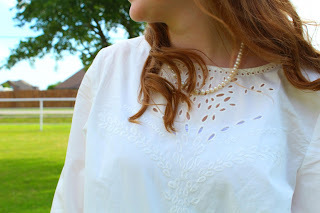 My top is by Ivanka Trump and and it is so light and very comfortable. I love that this top doesn't restrict my arm movement because it seems like with every top I buy that is this material I can barely move my arms or even get the shirt off for that reason. The back of the shirt is just a plain white but closes at the top with a small gold button. The front has these amazing eyelet cutouts and a floral design going down the middle. 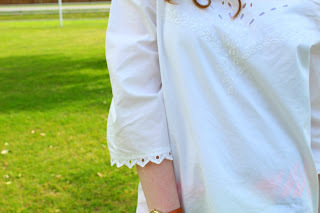 The sleeves also have eyelets on the trim. I have fallen in love with these pants! 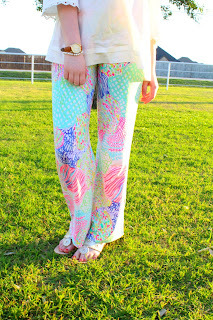 They are Lilly Pulitzer pants, I can't remember the style but the print is Roar Of The Seas. They feel like pajamas pants but they look nice. 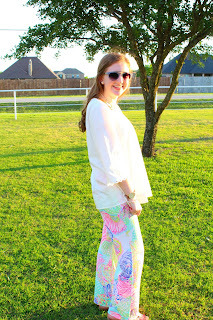 The pants are like a legging material and and are very stretchy. 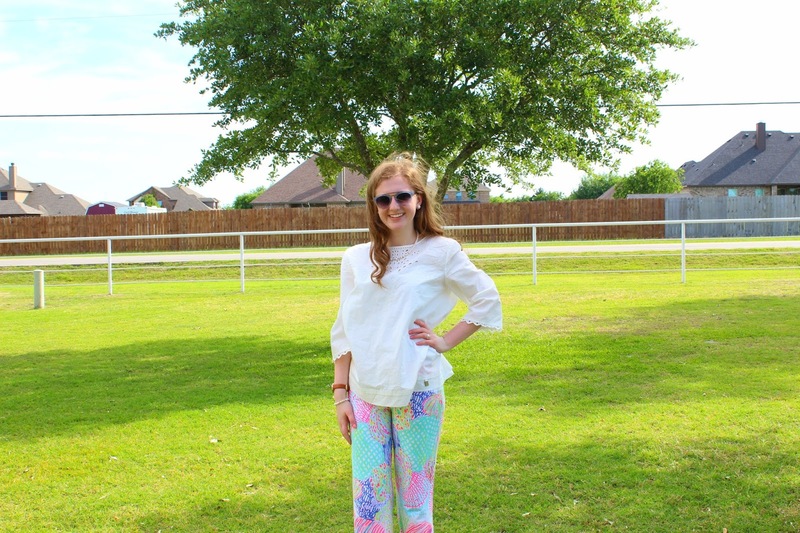 The only problem I have with these pants is that they are very long. I bought these in a small which is the size I typically wear and I guess that is how they are supposed to fit and you are supposed to wear heels with them but I can't so I hemmed the bottom of the pants.